It was an exciting week! This Thursday I went to an alt rock concert with an amazing line up: Muse, Florence and the Machine, Death Cab For Cutie, Foster the People, Mike Shinoda, CHVRCHES, Bastillle, and AJR Band! It was amazing! I don’t go to a lot of concerts so I’m glad I was able to go to this one. This week on the blog was my follow up about holiday shopping and budgeting, a review of Artemis, my review of the play “Mother of the Maid,” and how I’ve been traumatized by Christmas music. 1. 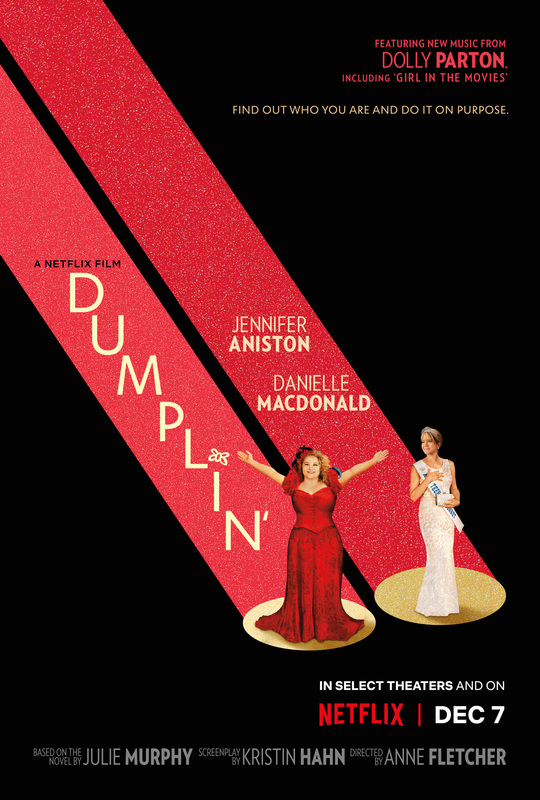 DUMPLIN’ on Netflix: I watched it last night and it is everything I hoped it would be! Lives up to the book and is better than some of the other “plus sized” Netflix shows/movies that are out there! 3. Can someone buy me this? 4. Cancel men: What Kind of Monster Tears the Pages Out of Books? Jason Momoa, That’s Who!